This work was created from 1996-2000. I show some of it here, because it covers an entirely different field of my work and some of it is still passable, even though I could do a whole lot better by now. Much more can be seen and downloaded at the artwork section of my old website. This is probably the most popular and widely used of my old models. It is still downloaded about 200 times a month, over 5 years after its original release. 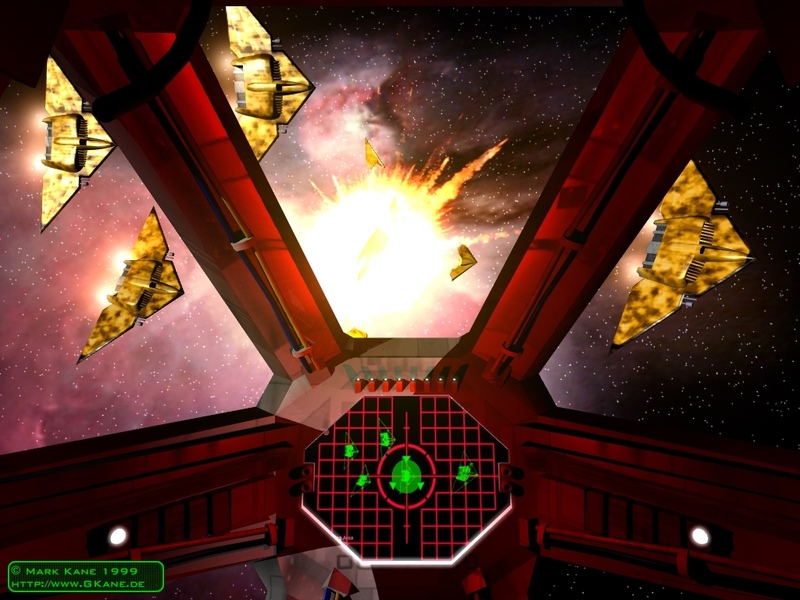 It is almost completely accurate to the original mesh from the TV show Babylon 5, so accurate it actually shares some of its flaws. 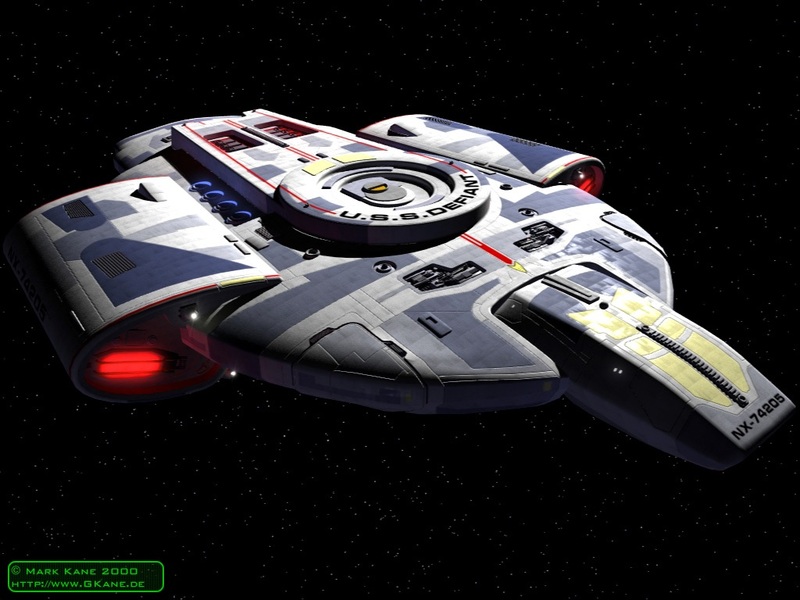 This is also a user favourite and happens to be one of the first models I ever built in Lightwave. 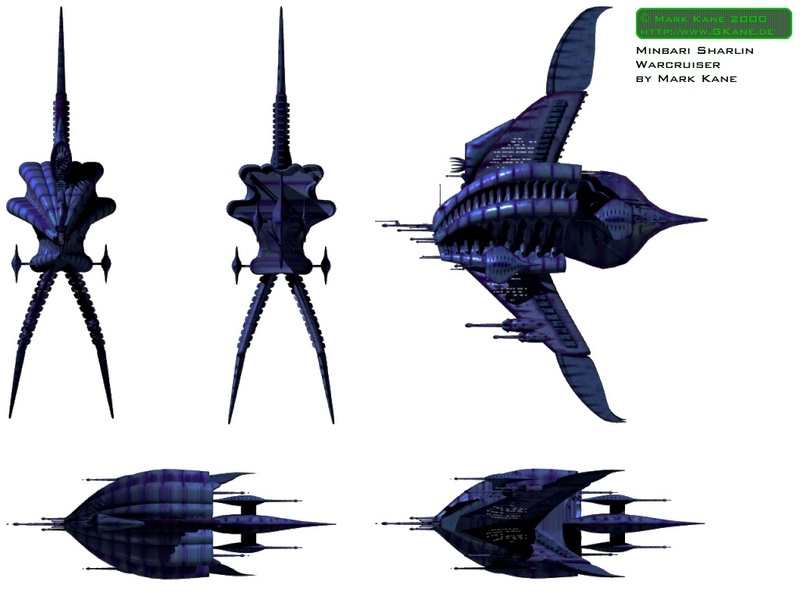 I had actually built an almost finsihed version of it in 3D Studio 4, when my Lightwave license finally arrived. I started from scratch in Lightwave as soon as I felt comfortable with the new tools. These were among the last models I released to the public. 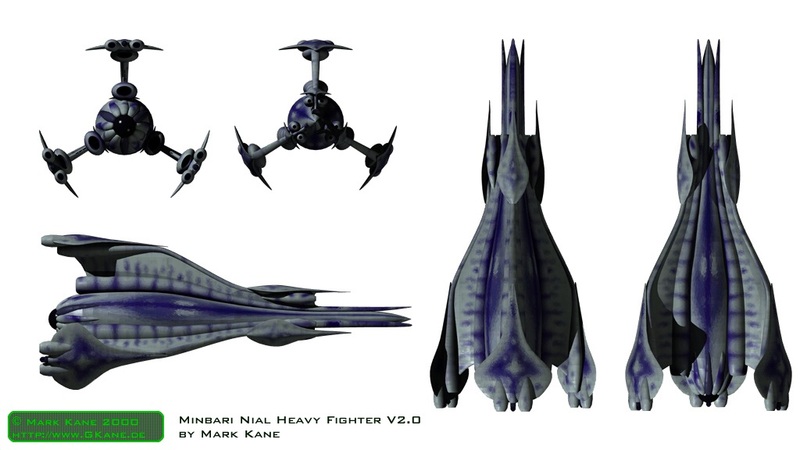 I always liked the organic design of the Minbari ships, they're so totally unlike anything we're used to see in Science Fiction. 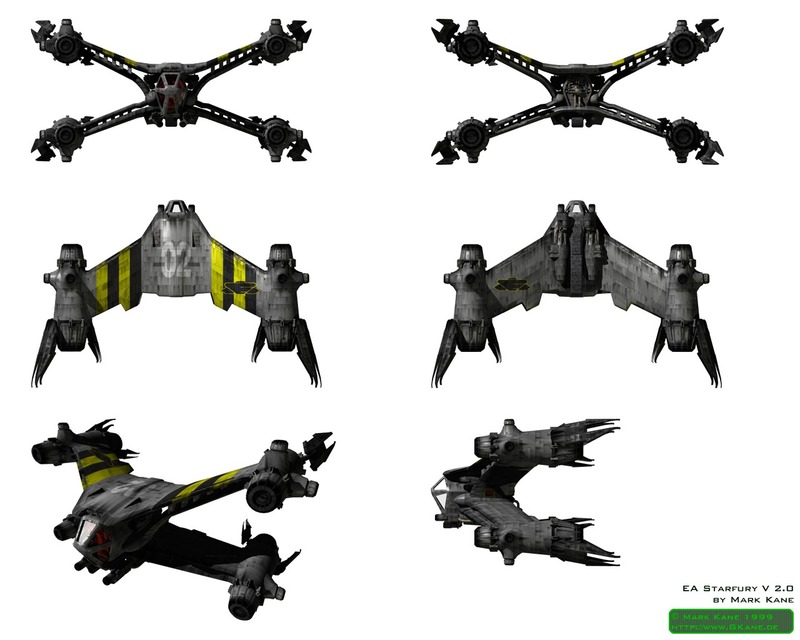 I built the fighter first, but in a modular way, so that its parts could be re-used for the flyer right in Layout. As on the show, they share most of their geometry. 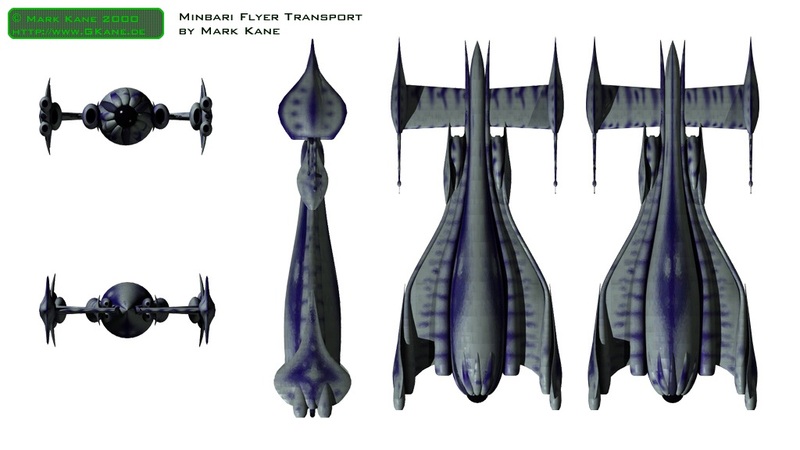 The main differences are in the wing and fin arrangement, as well as the relative scale of the vessels. Another popular model of mine, also pretty old but decent enough. 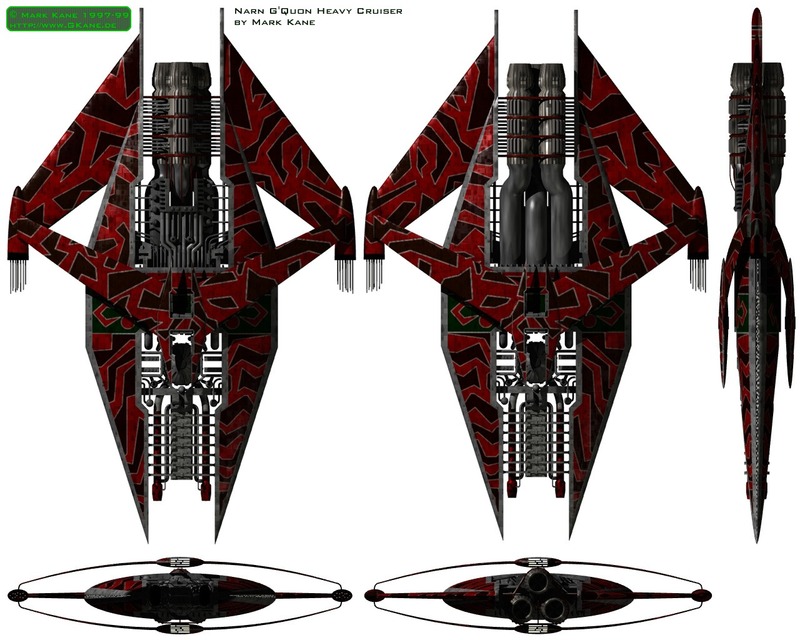 Its the warcruiser to go along with the fighter and flyer. Perfect for recreating those Earth-Minbari War battle scenes from the show. Outnumbered and outgunned, but not outclassed. This could turn out to be one nasty battle for the raider squad. I never got to release this model. It would probably have been one of, if not the, most detailed publicly available Defiant mesh at the time. I appologize to all the people that asked for it over the years. I always had the intention to publish it, just never found the nerve to fix the remaining bugs. 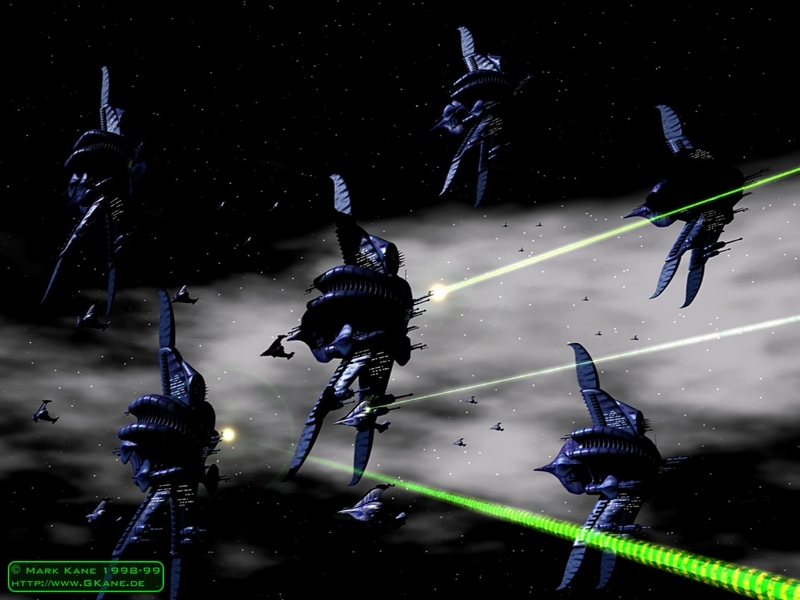 DS9 comes under a surprise attack by Dominion forces. 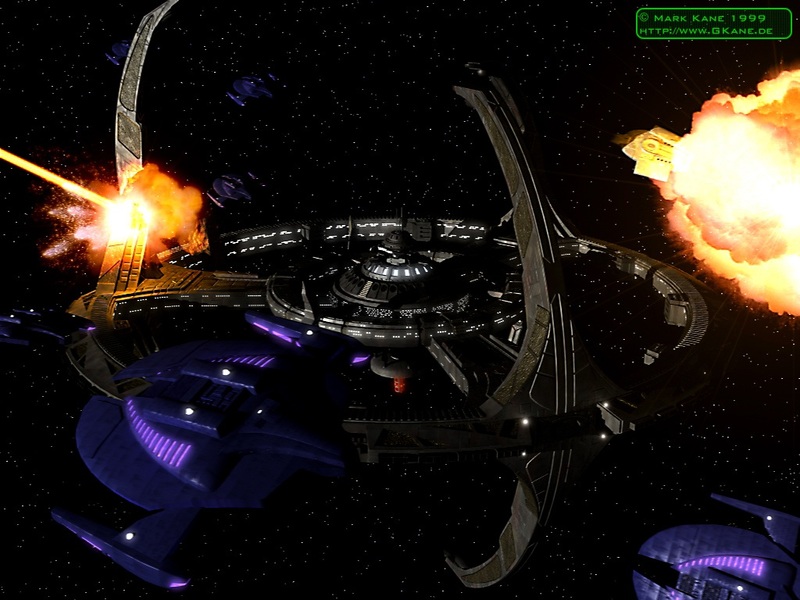 Defiant, attacking fighters and effects by me, DS9 mesh by Dave Charnov.